About 1 year ago: Rainah A. Are there any local/national protections in place for the hotel? 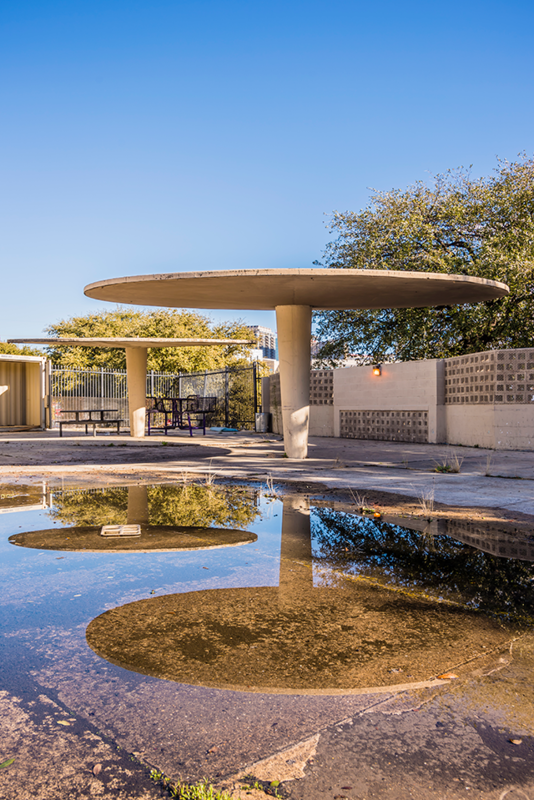 With its most recent purchase it sounds like the future of the structure as a hotel remains but is the structure designated as a historic structure in any capacity? Or has there been any effort to seek historic designation? About 1 year ago: David P.
There are currently no protections in place for the building. Since the article was written a new developer has come into the picture – Centurion American. They are currently working on finalizing the purchase of the building from Dallas County and are the same ones who recently completed The Statler redevelopment. They would like to do a similar project with the Cabana. In order to do that they will be using Historic Tax Credits, if they survive during tax reform, and are working to get the building listed on the National Register of Historic Places in order to qualify for the credits. The building has already been determined eligible for the National Register by the Texas Historical Commission. What do Doris Day, Raquel Welch, The Beatles, Jimi Hendrix, Led Zeppelin, Jimmy Hoffa, and a jail all have in common? Well, that would be the former Cabana Motor Hotel in Dallas on North Stemmons Freeway in the Design District. The modern and lavishly appointed hotel opened in 1963 and has a history just as fascinating as its avant-garde design. Developer Jay Sarno cut his teeth on two hotel projects before the Cabana in Dallas. In 1958, he opened the first Cabana Hotel in Atlanta, GA, followed by one in Palo Alto, CA. 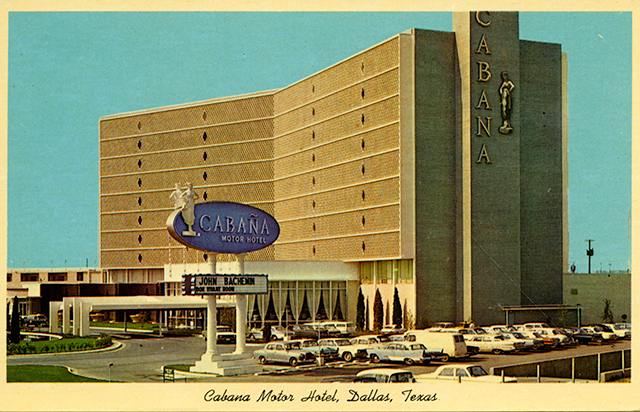 In 1960, he announced plans to expand to Dallas with his largest and most luxurious hotel yet, also to be called Cabana. Melvin Grossman, AIA of Miami, FL, designed the 10-story hotel in a striking modern design not seen in Dallas. Construction began in 1961 with investors Doris Day and the Teamsters under the direction of Jimmy Hoffa. Sarno later went on to develop his most well-known projects: Caesar’s Palace and Circus Circus in Las Vegas. The Dallas hotel cost $6 million and had 300 rooms—57 of them suites—and numerous amenities for guests including an outdoor pool, health clubs, restaurants, night clubs, a ballroom, and more. 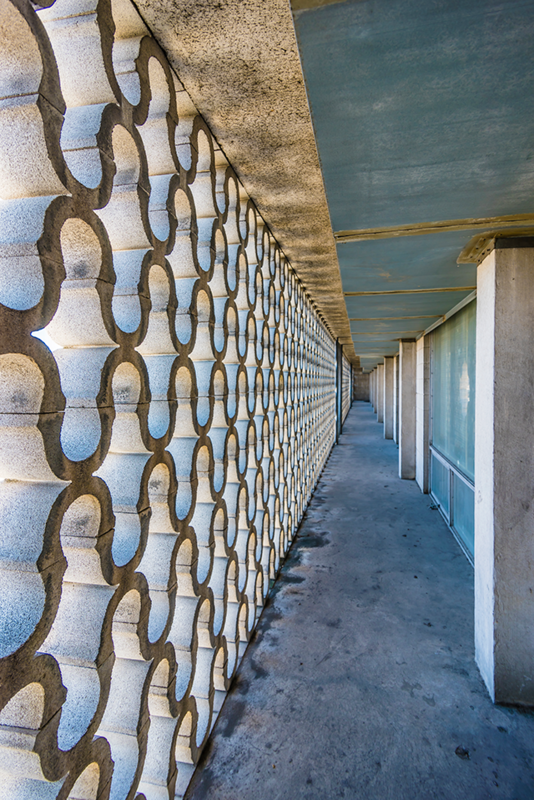 The exterior featured a brise-soleil, which covered the entire upper façade in a latticework pattern of delicate concrete X-shape blocks. In contrast, the lobby was designed with two-story glass walls connected to a porte cochère with an arched roof under which neon glowed. The interior décor was lavish and colorful with a Roman bent. The spacious lobby featured aqua tones with gold and white accents throughout, a grand sweeping staircase, and a check-in desk with marble panels. A sunken circular conversation area was fully carpeted in aqua with a crystal chandelier. Striking lobby artwork included replicas of Michelangelo’s David and Bacchus along with replicas of Venus de Milo and Winged Victory. 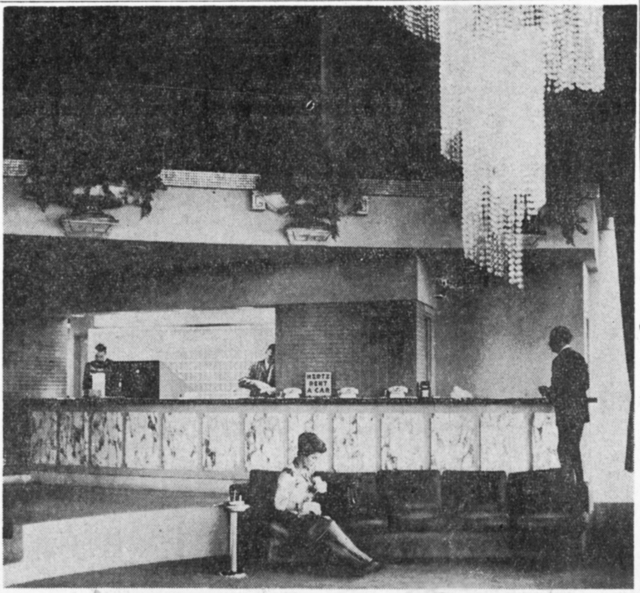 The theme was carried through the other hotel spaces, including the Bon Vivant Club, Nero’s Nook cocktail lounge, and Hava-Java Coffee Shop. They featured columns, painted Roman scenes, and even Roman-style figures woven into the carpet. Waitresses in the club and lounge were referred to as “goddesses” and were required to wear short, lacy togas with gold accents. The most famous goddess was a young Raquel Welch who, while working there, was offered a contract to become a Hollywood actress by a man who pledged to make her a movie star. The hotel rooms were above average in size and each featured a completely mirrored wall. Color palettes included either tones of plum and turquoise, red and cardinal red, or olive and putty. All had custom “Italian Provincial” furniture in distressed off-white with gold accents. Famous guests who stayed at the hotel included Jimmy Hoffa, The Beatles, Jimi Hendrix, and Led Zeppelin. Despite its lavish décor and A-List guests, the hotel struggled by the end of the 1960s and fell into debt. It was sold in 1969 to Hyatt House for $4.35 million and was renamed the Hyatt House Hotel. In 1976, Hyatt sold the property to Holders Capital Corporation which renamed it DuPont Plaza. 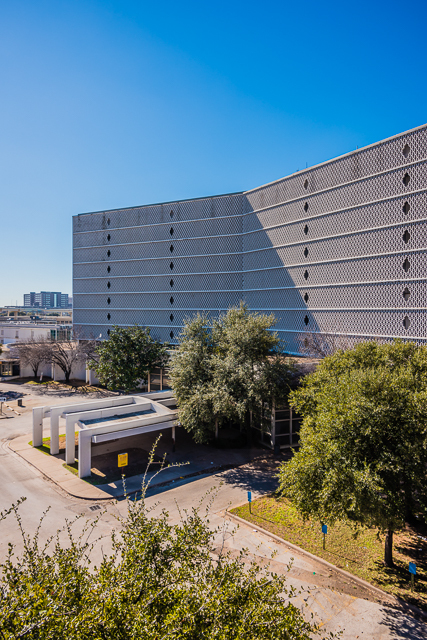 Dallas County purchased the building in 1984 for $9.2 million and converted it into a minimum security jail, which remained in operation until 2013. A year later the county listed the property for $7 million. Lincoln Property Company won the bid and announced plans to demolish the structure for a new data center. They backed out of the deal, however, and the building went back on the market. Circa Capital Corporation won the bid for the property in 2016. They were interested in the unique design—not found anywhere else in Dallas—and the opportunity it presented to convert it to a one-of-a-kind boutique hotel. The purchase is set to close in the spring with construction to begin at the end of 2017 or early 2018. 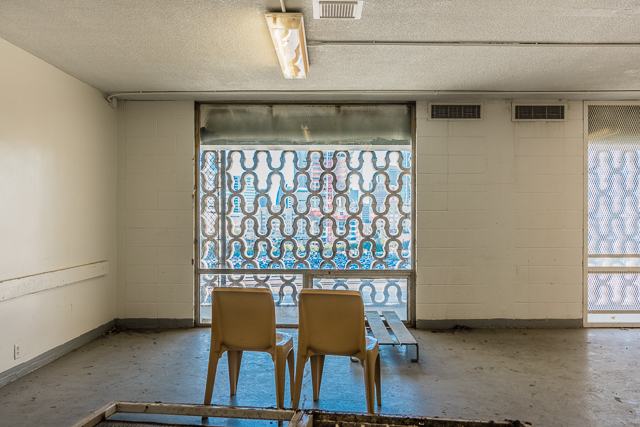 In the process of its conversion to a jail, interior finishes were removed down to the concrete floors and walls. The two-story lobby and the ballroom were both converted into two separate floors of offices. Security bars were installed on the windows and jail doors were installed in the corridors. The pool was filled in, although the original deck coping remains, and the courtyard was sealed off. 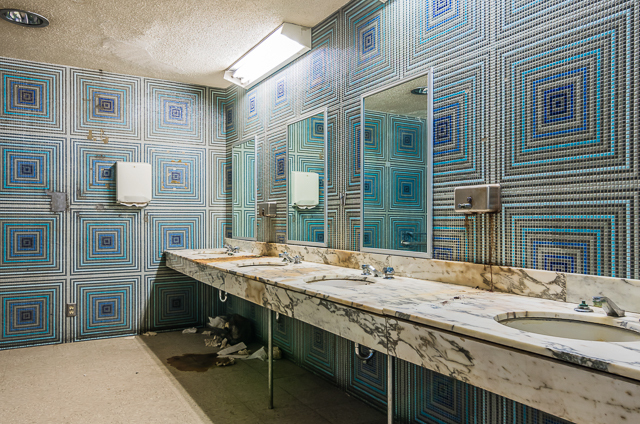 There are few bits of the original building left: the green terrazzo floor under vinyl tile in the lobby; gray-tiled bathrooms with aqua sinks, tubs, and toilets in the rooms; and a women’s restroom off of the lobby with intricate tiled walls and marble sinks. Jay Sarno took a gamble when he opened the Cabana in Dallas with its unusual exterior design and swanky interior. The fact that it had had famous guests, a tumultuous history, was converted into a jail, and was almost demolished only added to the mystique of this unique property. 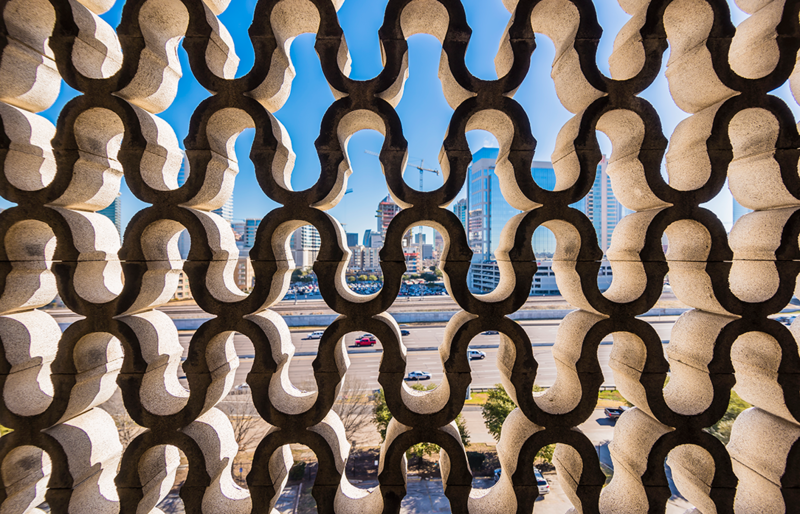 Now this architectural and cultural icon of Dallas will embark on a new era and get reborn as it is brought back to life with its cool 1960s’ charm. David Preziosi is the executive director of Preservation Dallas.